Tran Huynh Duy Thuc is a successful Vietnamese entrepreneur who often blogged about economic and social conditions in Vietnam .He is the founder of a major Internet provider. 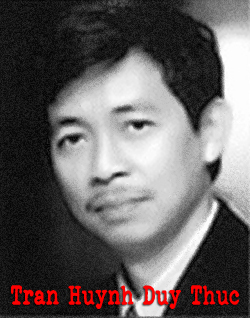 He was arrested in 2009, at first on charges involving theft of telephone wires, and then later under Article 79 of Vietnam’s Penal Code for “attempting to overthrow the government.” His one-day trial was held in conjunction with those of Nguyen Tien Trung, Le Cong Dinh, and Le Thang Long. Thuc was sentenced to an unprecedented sixteen years in prison. In August of 2012, the UN Working Group on Arbitrary Detention adopted the cases of Thuc and his co-defendants. The group found that their arrests and detainments were indeed arbitrary and called for their release from prison (http://www.ohchr.org/Documents/HRBodies/HRCouncil/RegularSession/Session22/A.HRC.22.44_en.pdf). The Vietnamese government did nothing in response to this finding. Thuc’s family is very active in advocating for his release; his father participated in a mini-interview series with The 88 Project in the summer of 2013. You can watch the interviews, here (http://the88project.com/category/free-expression-interview-series/). You can also check out Thuc’s family’s website about his case (http://tranhuynhduythucofficial.wordpress.com/english/). Thucs’ case has previously been adopted by Amnesty International. He has also been adopted by Rep. Zoe Lofgren (D-CA) as part of the Tom Lantos Human Rights Comission’s Defending Freedoms Project. You can read more about the Defending Freedoms Project, here (http://democraticvoicevn.files.wordpress.com/2014/01/adopting-vietnamese-prisoners-of-conscience.pdf).